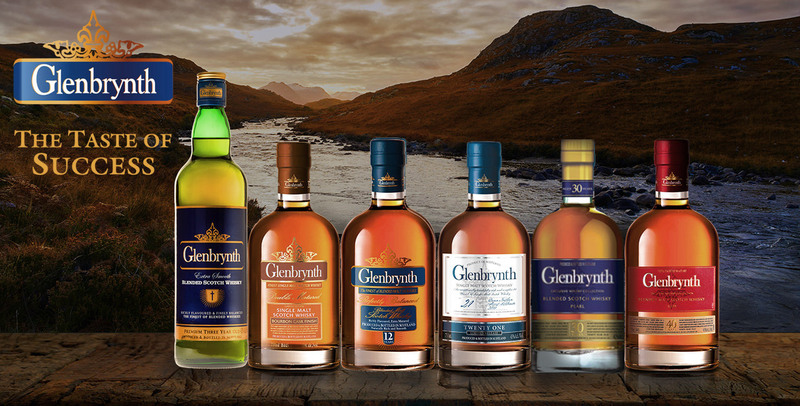 Distilled and matured in Speyside and the Highlands regions and then blended and bottled in Bellshill, Glasgow, Scotland, Glenbrynth works on the proficiency and expertise of Scotland’s premier distilleries with experience of over 120 years to bring you the finest Scotch whiskies. Aroma: Clean and crisp with hints of vanilla. Finish: Clean with lingering sweetness. Aroma: Rich, fragrant and fruity – typical of Speyside malts. Aromas are overlaid with hints of spicy heather and delicate floral notes. Taste: Rich, fruity flavour with distinct sweetness. Slight spiciness with a warm, lingering aftertaste. Finish: Lingering and sweet finish. Aroma: Rich and vibrant with ripe, fleshy fruit notes and smooth vanilla sweetness. Taste: Exceptionally smooth and mellow with silky mouth feel. Rich vanilla toffee notes and oaky spice. Finish: Long and lingering and beautifully smooth. Aroma: Rich and complex aroma with deep vanilla oakiness and delicate spice. Taste: Exceptionally smooth and mellow with silky mouth feel. Vibrant fruity and floral notes.